John Moore, #27, Left, shut the door on points leader Eric Schmidt, #05, to claim his first victory of the season and his career in the Western Late Model Division. 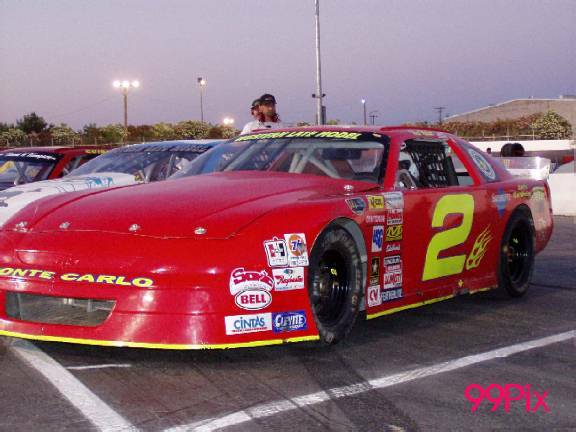 The NASCAR DODGE Weekly Series brought the crowd to its feet, as Wes Miller, #2, held the lead in the first nine laps, only to be stripped of his position by John Moore of Granite Bay. 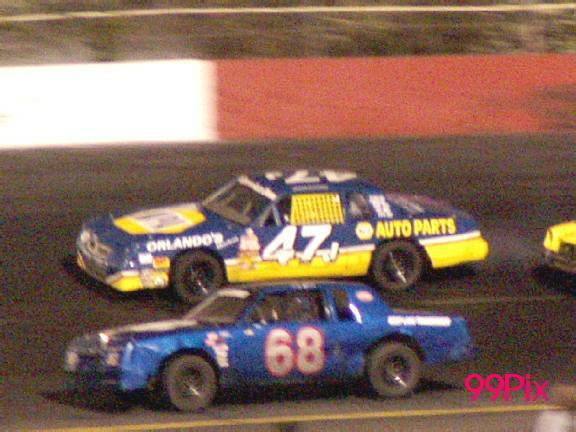 In the HAVOLINE sponsored division, Moore swept past Miller, just before the halfway point and held his position into the finish. Moore is currently in the third place point position. Top qualifier Eric Schmidt of Roseville shadowed Moore consecutively in an attempt to gain the leaders position, but was unsuccessful and placed second in the WLM division. June 14th’s WLM winner and second place point holder Harry Belletto, #74, made his best effort to slip into dash winner Pete Anderson Jr.’s, (#5), third place spot. 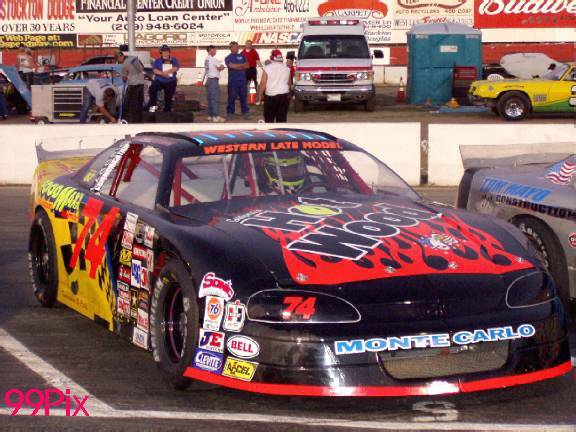 Anderson Jr. never gave it up and placed third over Harry Belleto, who was fourth. 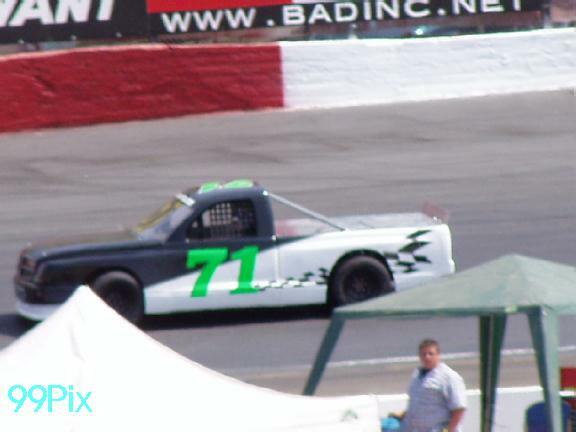 In the Pro 4 Trucks Division top qualifier, division winner and first place point winner #27, Carrie Miller tailed #71, Randy Jahoda of Tracy for the initial six laps, only to whip past Jahoda for a seventh lap lead resulting in a fourth season victory. Randy Jahoda defended his position for the remainder of the race and was the second winner. Dash winner, #4, Brandon Trevethan of Tracy placed third followed by Todd Lewis of Riverbank for fourth. 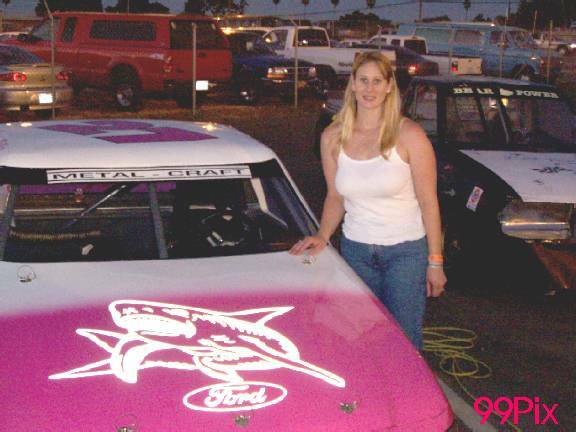 It was an exciting night of Pure Stock racing last Saturday. 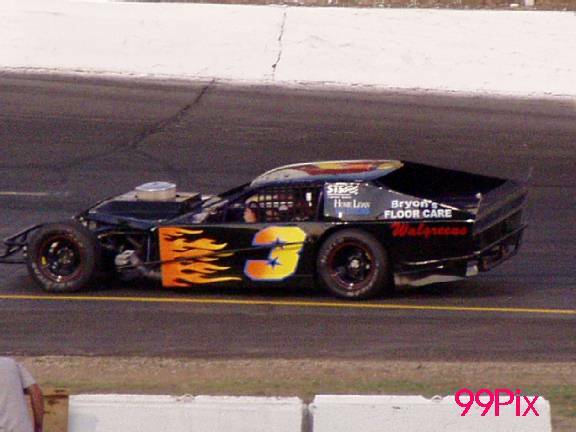 Dave Ball, #29, took a short lead after the green flag in the twenty-two car race. Aaron Shankel, #47, of Lodi effortlessly gained the lead from Ball for the remainder of the race and took the checkered flag. 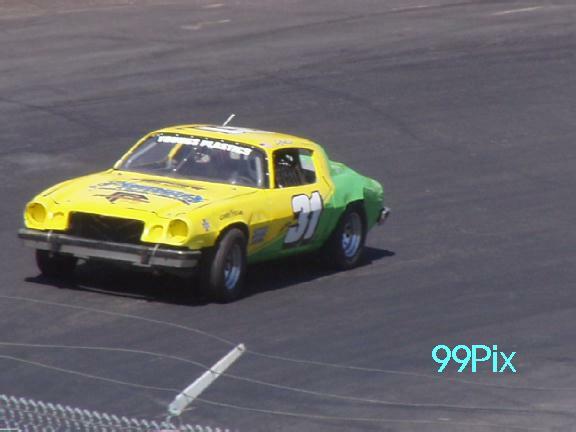 It was a two-car battle for the second place position between Johnny Cardoza, #40, and Jeff Ahl, #31, of Lodi. Cardoza moved into second on the eighth lap, following a yellow flag. 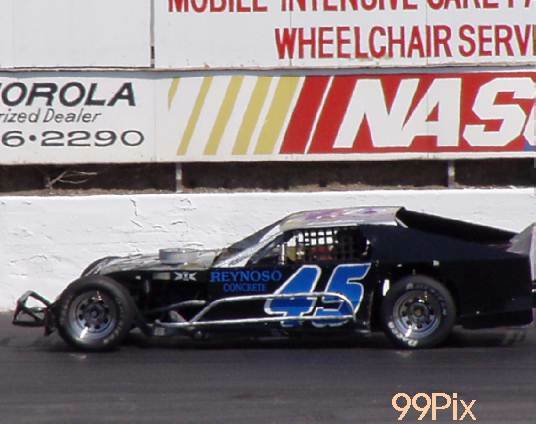 Cardoza then lost his positon to Ahl after a nineteen lap lead putting him in third, but slipped up on the second to last lap, resulting in a fifth place finish. 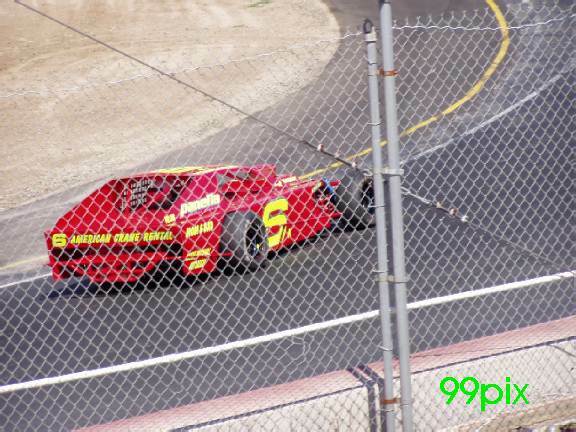 Ahl placed second and Dave Wright of Manteca snuck into third from a fifteen lap forth place position. 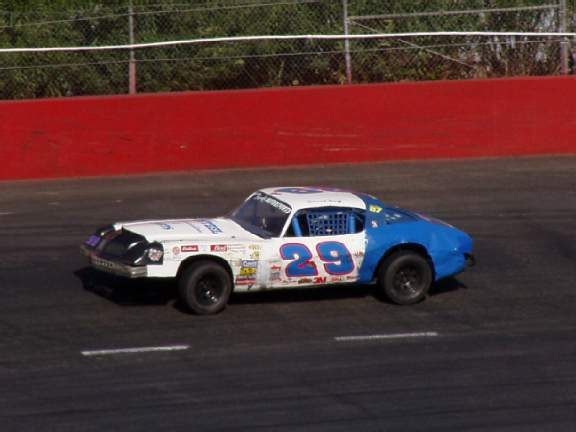 The points standings for the Pure Stock "B' Main Pure Stocks are as follows: 1.Tom Dibble 2.Tony Smith 3. Chris Norton 4.Kurt White 5. Boyd Camper. 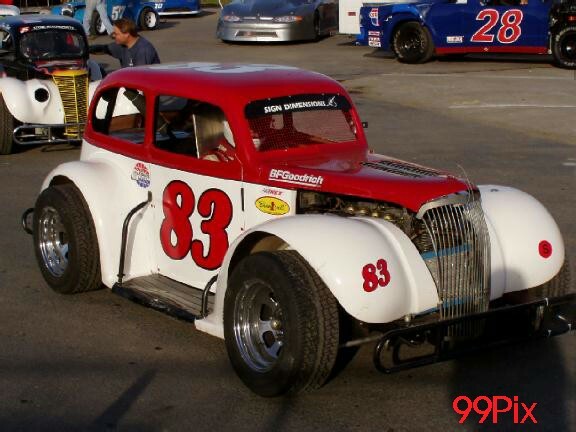 The Legends returned to Stockton 99 Speedway last weekend. 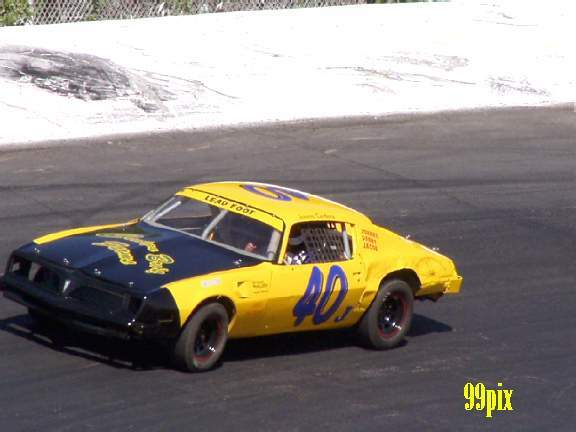 It was a nerve-racking race as Gerald Crawford almost flipped on the sixteenth lap of the 30-lap race. Ryan Mosher, #52, was the Legends division winner and Richard Appleby, #83, came in second who was closely trailed by Jeremy Wood. 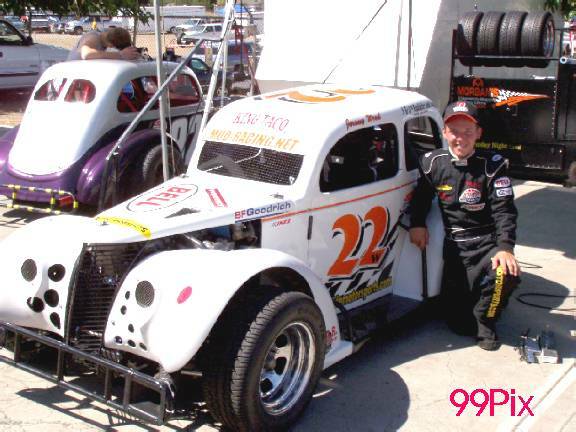 Wood, #22w, celebrated his sixteenth birthday on Saturday and was racing for the first time at Stockton 99 winning third in the division. 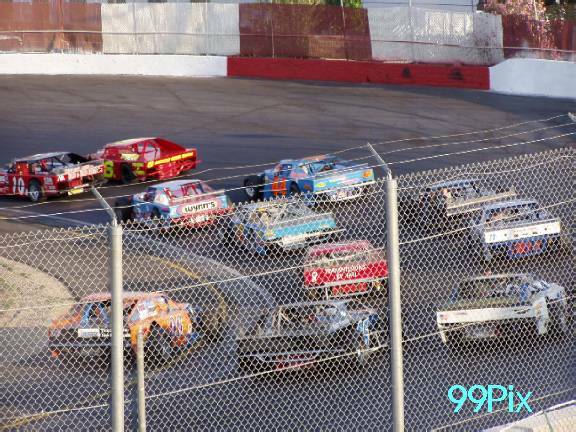 THURSDAY, JULY 3 will feature Western Late Models and FIREWORKS for the "HOT WOOD TRI-HOLIDAY FIRECRACKER 100 LAP CLASSIC"
John Moore went to the auto races as a fan two years ago to watch Eric Schmidt do his thing. Schmidt swept his division that night, and a race car driver was born. Moore went out and purchased a car. 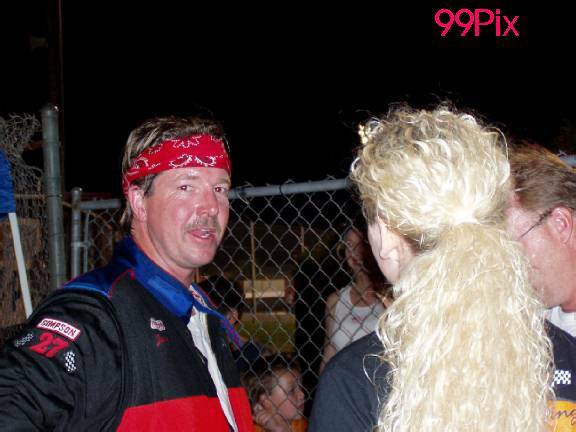 Saturday night, he scored his first victory in the Western Late Model main event at Stockton 99 Speedway. "I feel awesome. It's been a long time coming," the Granite Bay resident beamed after signing autographs. "We've had probably four opportunities to win this year, but my inexperience and bad luck have kept us from winning." Moore took the lead from Wes Miller of Turlock on lap 14 and led the final 16 laps. Moore spent the last nine laps holding off Schmidt, the points leader, and had a good time doing it. "Every time I come here, I come for fun," said Moore, a former moto-cross racer. "The competition is what I like." 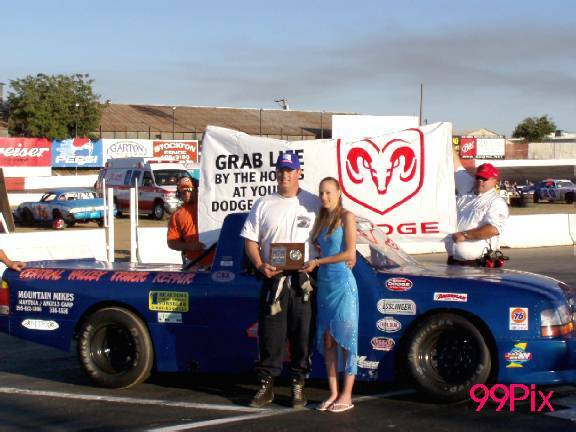 The new invert rule didn't affect points leader Jay Linstroth of Citrus Heights. 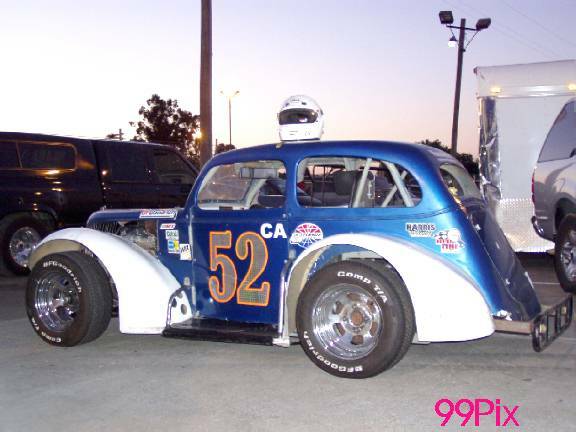 A mechanical problem in qualifying put him in the back for the start of the 30-lap main event. Linstroth and crew changed everything fuel related -- cell, pump, carburetor -- and charged back to win for the fourth time this season. "The thing collapsed on us. We didn't get any practice, nothing," Linstroth said. "We finally think it was the carburetor. It was depressing." Linstroth took the lead on lap 14 and pulled away and took the checkered flag as Joey Stearns of Stockton was holding off a final bid for second place by Buzz DeVore of Stockton. "When I got up front, it sure was nice," Linstroth said. 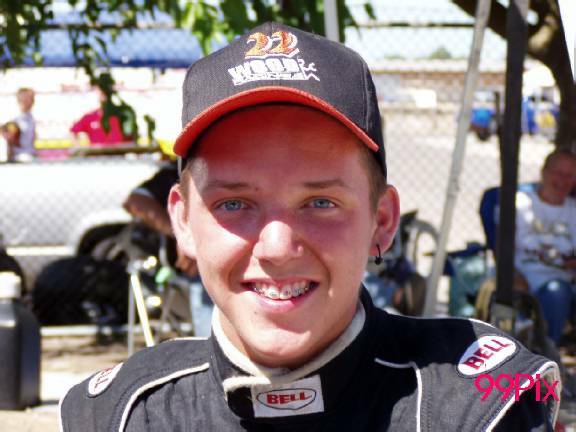 Arron Shankel of Lodi took the lead on the second lap and drove to his first main-event victory since July 8, 2000. Stockton drivers Chad Holman and Gary Shafer Jr., running first and fourth in points, exited the race on lap seven when they crashed in turn one. Shafer's car was damaged to the point he couldn't continue. Holman was parked by track officials for plowing into Shafer, though it appeared another car gave Holman a shove into Shafer. 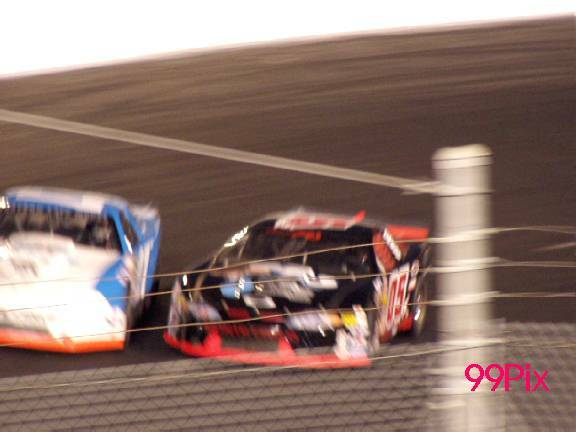 Shafer was running second and Holman third at the time of the collision. Points leader Ryan Mosher of Cupertino won the 30-lap main event but got some help from Frankie Winchel of Sebastopol in the process. Winchel set fast time, developed a problem during the second heat and pulled off the track, came back to win the trophy dash and took the lead from Mosher on lap 13 of the feature. But officials penalized Winchel for driving below the yellow line, and he was sent to the back. Richard Appleby of Yountville finished second, and Jeremy Wood of Tracy was third on his 16th birthday. Carrie Miller of Saratoga padded her points lead by qualifying No. 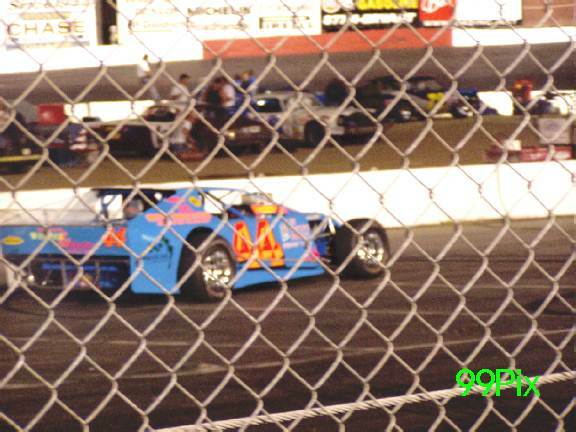 1 and winning the 15-lap main event. 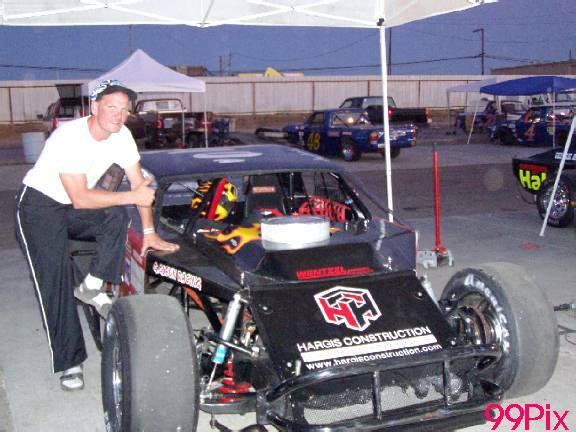 Miller took the lead from Randy Jahoda of Tracy on the seventh lap and went on to become the first two-time winner in the class this season.